Use only the Battery Harness sold by Gerbing® Heated Gear. Using the Battery Tender® harness that may already be installed on a motorcycle is not recommended for powering Gerbing gear. Note: If using the Battery Tender® harness you will need to use a female adapter, and will need to confirm that the Battery Tender has the correctly rated fuse selected for your gear combination. We recommend that you keep both harnesses. Install a Gerbing Battery Harness to provide power to the Gerbing gear and use the Battery Tender® harness to charge your battery. 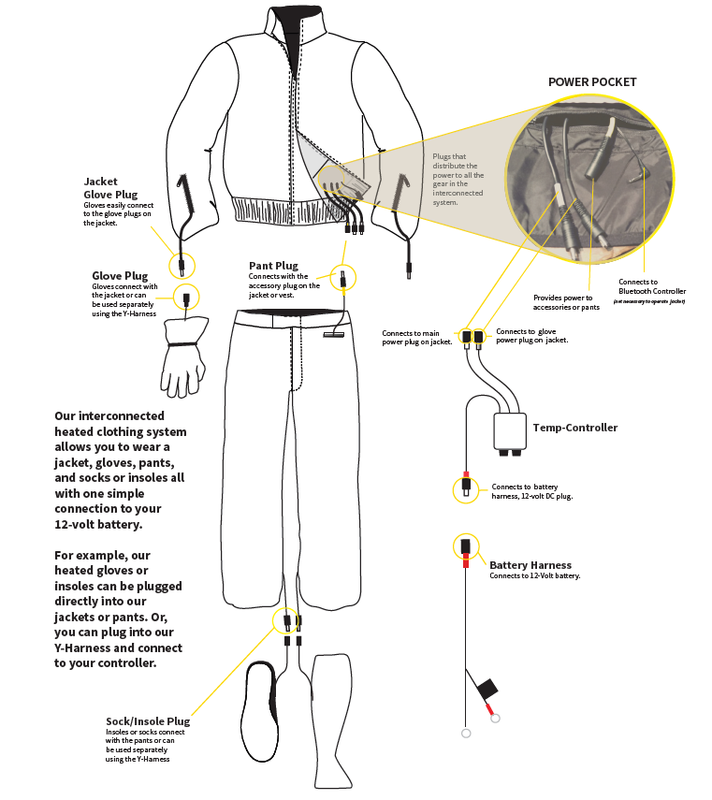 If Gerbing® Heated Gear will be worn by both rider and passenger, install two Battery Harnesses to the battery terminals and use two controllers to control each person's gear. NEVER switch on Gerbing® heated gear if the motorcycle engine is turned off or running below the indicated engine speed. Damage to the gear and electrical system may occur. Heated gear must be used in accordance with the manufacturer’s specifications and instructions. Use the Gerbing® 12-volt plug-in heated gear on a 12-Volt DC circuit only.